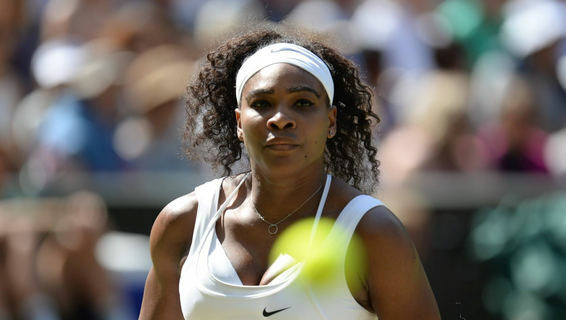 23-time Grand Slam singles champion Serena Williams is back on the World Tennis Association (WTA) Tour this week at the Indian Wells in California, USA after taking six month maternity break. The 36-year-old American, in an interview with BBC’s Russel Fuller, says she is ready for the job on the court. Serena also suggested that Africa should host one of the WTA tours in a bid to tap the enormous talent in the continent. “It is something I have thought about and I would like to keep thinking about it. I am glad you brought it up; because I think, it would be amazing. It would be so fun first of all to go there, the help that we could do, and the awareness of the athletes and the amazing players that would come out of Africa would be unbelievable"
“Well it's one of my favorite places to go, so why not?,” Serena said while laughing. She hopes "someone will make it happen". She noted in her autobiography the opening of the schools as one of the landmark events in her life.